Announcing the newest version of our free CBGTrails Map App, complete with TrailQuest! In the Gunnison Valley, we firmly believe that one good ride deserves another. And another. And another. Luckily, we have over 750 miles of singletrack and 150+ mountain bike trails ranging from high alpine singletrack to desert flow. But in some ways, having that many choices and that much variety can make it hard to choose. Our first goal with the maps was to get all of the information that you need to pick (and find!) your trails in one place. We decided that existing map apps like MTBProject are great, but don’t allow us to update our ever-changing and remote trails very easily. CBGTrails runs off an open-source mapping program so it’s easy adjust the map after a work day or Forest Service reroute. They also don’t include all of our trails. In fact, they leave off quite a bit of fantastic, but untapped singletrack. We built TrailQuest because we thought it would be fun! We’re competitive here in Crested Butte and the Gunnison Valley. We asked the team to build us a way to track unique miles of singletrack ridden in the Valley and then build a leaderboard where you can see who has ridden the most. The challenge with TrailQuest is to try to ride as many unique miles of singletrack in the Gunnison Valley as you can. Take our one good ride deserves another mantra to the next logical step and actually try to ride all 750 miles of trail. Even if you plan to visit the Gunnison Valley once or stick to the same trails each time you ride there’s good reason to play. Number one is because the map in CBGTrails is the only complete map of the Gunnison Valley. Number two is that we guarantee you’ll find something new, uncrowded, or just plain beautiful by diving into Trailquest! To play, just download the app from your appropriate app store and sign up for an account for TrailQuest. Then sync your Strava app to the game. Once you’re linked, any ride you record in Strava will automatically sync to Trailquest. Move up the leaderboard and plot your next adventure. Ride 10+ miles during our weekly challenges and be entered to win the prize of the week. We give away gift cards, socks, pint glasses, and more to one visitor and one local each week. Ride at least 25 unique miles of singletrack and earn a TrailQuest 25 sticker. Pick these up from any bike shop in the Valley. Ride at least 100 unique miles of singletrack and earn a Trailquest 100 mile pin. Ride at least 250 unique miles of singletrack and earn a pair of TrailQuest 250 socks. Ride at least 500 unique miles of singletrack and earn a TrailQuest 500 hat. Ride at least 750 unique miles of singletrack and earn a personalized TrailQuest 750 mountain bike jersey. 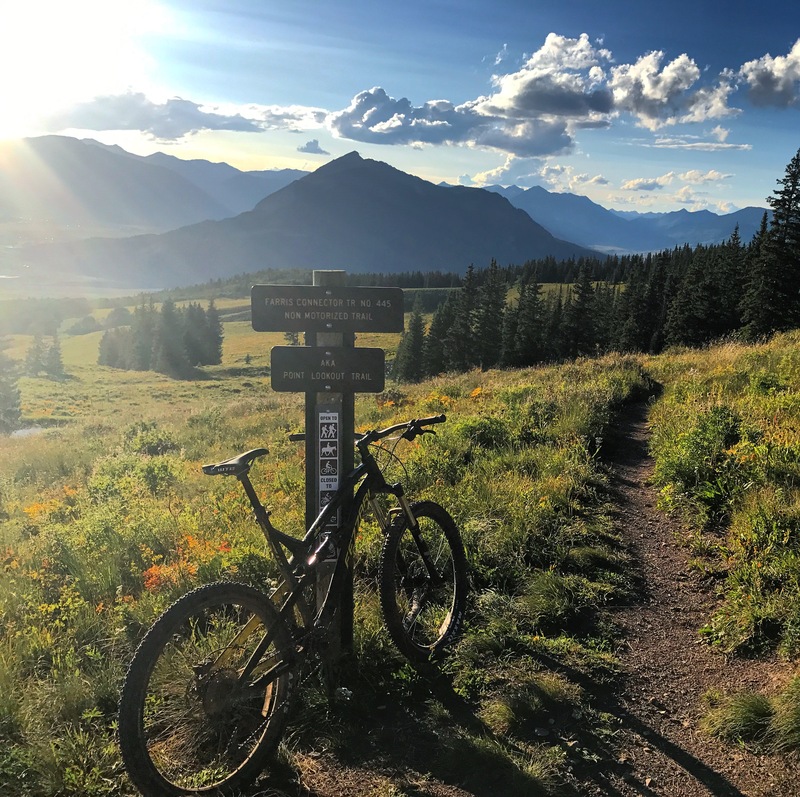 We’ll also have special contests during Crested Butte Bike Week, 4th of July Week, and Outerbike. Play the game during those times and you may win some really big prizes! This is a Herculean feat. Some of the miles will be hike-a-bike. We didn’t make up this game because we thought it would be easy. We made it up because we imagined that it was hard, but possible, for some people. Think bikepacking the Continental Divide Trail or Great Divide Route. Sure it will take a while, but after the first year there are many people over half way there. Some of these trails are way out there, and very few people may have ever mountain biked on them. Part of our hope is that by making these trails part of the game, we can learn a lot about the full picture of trail resources in our Valley. A bit of knowledge makes riding in The Needles a much more pleasant experience, and we’ve already learned so much about our trails and remote networks. The reason we’ve switched to Strava for track recording is because it makes the game more accurate. In addition, location recording is becoming increasingly difficult for smaller apps to manage, and Strava is the most used app in the world among bikers. Once you’re synced you never have to hit another button to get your tracks to upload to Trailquest. It’s quicker, cleaner, and you were probably already recording there in the first place. Speaking of which, once you’ve synced Strava you can import all your previous rides and quickly bump your way up the leaderboard. Any tracks recorded in the game area after May 24, 2017 count in Trailquest. Who knows, maybe you’re our new leader and we didn’t even know it. *We will only guarantee these prizes will be available to finishers in the calendar year 2018. We fully expect to continue these in the years to come, but we only plan prizes on a yearly basis.